Round eight of the tournament will end in less than 24 hours (Sunday, February 3, 16:00 UTC). Please, don't forget that BOTH players have to report their matches through the GOOGLE FORM. Match reports by email only will be rejected! 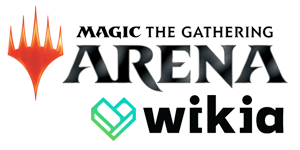 If you have trouble getting in touch or playing your matches, let us know by sending an email to mtga.organizer@gmail.com and we'll gladly lend a helping hand. Round 9 of the tournament is live! You will have until February 10, 16:00 UTC to schedule, play and report your matches. A timer can be found here. Please, don’t forget that both players have to send a match report! Match reports by email will be rejected! Please use this Google form instead. Results from round 8 and new pairings for round 9 can be found on the wiki. the sooner you get in touch with your match partner, the better. In case of issues you will still have enough time to sort things out. Good luck and have fun battling! I made it to top 8! Congrats cucho, now win the damn thing or we'll lose all respect for you. first of all: CONGRATS to the players who entered top 8! Top 8 starts right now and you will have time until Feb 17, 16:00 UTC. The Google form for match reports can be found here. streaming and/or recording is mandatory! 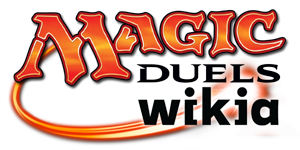 Match-ups and standings for the swiss rounds can be found on the wiki. Nine weeks have passed since we first announced R1 pairings, a lot of water has passed under the bridge. Over 500 games were played all around the globe in a test of skill and endurance like no other witnessed before. We would like to salute every participant with a special nod of respect to the ones that kept playing until the last round, but there can only be one in the end and that is why we are here today. The players we now present to you have each endured their own trial in a very diverse meta. Each of them arrives here with impressive records but there are no second chances when you are so close to glory. Without further ado the Lords of the coliseum proudly present to you the top 8 players of the Undercity Coliseum and the path they took to get here ! The match was intense, we play test it with Turbo Ben Kenobi a fairly decent number of times, so I had a SB deck ready. G2 I boarded in the Tocatli, and little more removal, hit curve and she had a hard time finding her creatures, I keep the pressure up and hit by air and squeezed every drop of damage I could while making him trade. G3 Tocatli showed up on T2... he could not deal with her in time, and I kept dropping bigger threats that he could not ignore. Little by little my board grow and she was forced to drop explore creatures as blockers. Well done, go team NGA! Semi-finals start right now and you will have time until Feb 24, 16:00 UTC. Match-ups and standings can be found on the wiki. Preferred Pronoun Set: I'm male, lol! Go Cucho - Although I'll never forgive you for constantly misspelling Boros!!! Also, 2 GBs in the top 4. Color me unsurprised. I hope you beat RU so that you can go on to win. Either way though, you've already done great! Still I’m super happy of getting this far 3Rd place should be played soon. Sorry to hear that. Still congrats all the same, I know how hard it is to top 4 something like this and you should be very proud.